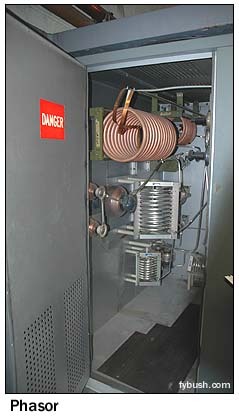 Most 50,000 watt AM stations in major markets find a transmitter site that works, and they stay there. Indeed, in this era of NIMBYism and BANANAology, the last thing most radio stations want to try to do is move their towers, especially if those towers consist of three painted and lit 689-foot guyed towers. In fact, it's not only not very rare to find a big AM station's transmitter in the same place where it was 60 or 70 years ago, it's almost expected. But New York's WOR (710) isn't just any radio station. Next year, it will move to a brand-new tower site - and it won't even be the station's first move as a 50,000-watter. This week on Site of the Week, we visit the current WOR site, at 1585 Valley Brook Avenue in Lyndhurst, New Jersey - a site that WOR has occupied only since 1967. 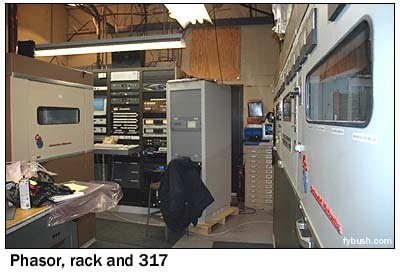 Some history is in order: WOR's life as a 50,000 watt radio station began at a site in Carteret, N.J., ten miles or so to the south of the Lyndhurst site. 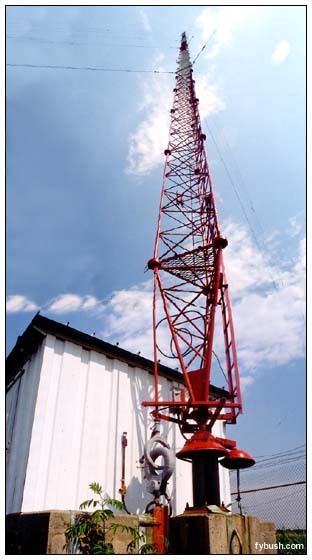 The Carteret site was built when WOR harbored dreams of serving both New York City and New Jersey, and the antenna there (one of the first directional antennas used in the U.S.) was designed to throw lobes to the northeast, over New York, and the southwest, over Philadelphia. 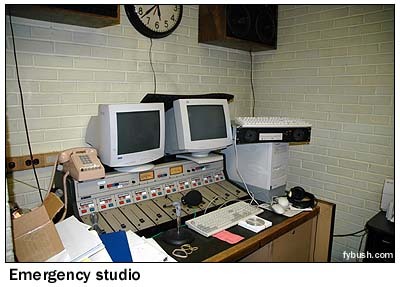 It worked well, but by the sixties it was clear that the increasing number of stations in both markets would make WOR solely a New York station in practice - and that meant improving signal strength over the city and Long Island and improving the signal over the fast-growing communities in northern New Jersey and north of the city in Westchester and Connecticut. And that, in turn, meant a new transmitter site more centrally located to the market. It was already a crowded neighborhood - WINS (1010) had been at a site a mile or so to the west since the forties, and WLIB (1190) built its new three-tower array on Valley Brook the same year that WOR moved in. 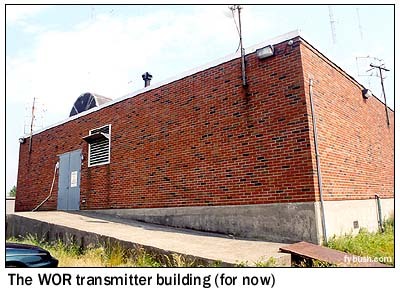 The era of fancy transmitter buildings had already passed by the time WOR built here; with no need for constant staffing, the WOR building is an unadorned brick rectangle without even a nifty illuminated sign like some of its neighbors in the Meadowlands. 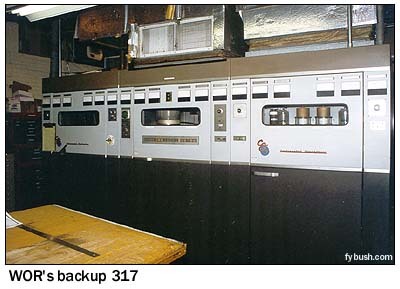 Come inside and you're looking at the back of the Continental 317C (modified to a 317C1) that's been here since 1973; walk around the side of the Continental (past the door to the emergency studio) and you can pretty much take everything in at one glance. 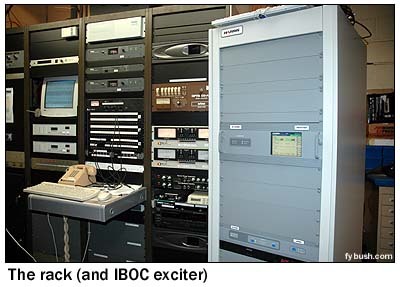 WOR was one of the first stations to experiment on-air with IBOC digital, and down at the bottom of the right side of the rack (a little out of the frame in this picture) is the original homebrew Ibiquity test exciter, now retired from regular use. 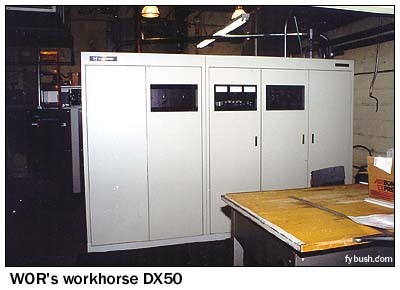 It's since been replaced by the Harris Dexstar unit that sits in a rack of its own next to the main equipment rack and feeds the DX50. And before we leave the building, a few words about - yes - the bathroom. There's not really any plumbing to speak of out here in this area that was, after all, a swamp, so the toilet in the WOR transmitter's bathroom is a fascinating device called an "Incinolet" that disposes of waste by incinerating it, electrically. I'm told that it's quite noisy and gives unsuspecting visitors quite a start! And as we alluded to at the beginning of this week's installment of Site of the Week, all this will be history very soon. What the New Jersey Meadowlands Commission giveth, the Meadowlands Commission taketh away - and so it came to pass a few years ago that this land was singled out for redevelopment as a luxury golf-course development, which will someday include three 18-hole courses, several hundred housing units, a train station and more. Don't weep for WOR, though - in exchange for giving up this site, it's getting a new transmitter site about a half-mile north of here, complete with three brand-new towers, new transmitters, a new ground system and so on. Construction's already underway; as we write this in May 2005, the ground system's in place and the steel will soon rise on the new towers. It's been a busy year for the folks at WOR, with a new studio and now a new transmitter site - but they're having fun making it all happen, from what we can tell. And we'll be looking forward to showing you pictures of new towers rising in the Meadowlands very soon...stay tuned! Thanks to Tom Ray and Kerry Richards for all their hospitality at Lyndhurst over the years! It's here - the 2005 Tower Site Calendar is now available at special clearance prices! Click here for ordering information! Next Week: WEPN 1050 transmitter, East Rutherford, N.J.